Results from the IDEFICS Study – precursor to the I.Family Study – will be presented by I.Family partners for the first time this week at the annual gathering of the International Society of Behavioural Nutrition & Physical Activity (ISBNPA). 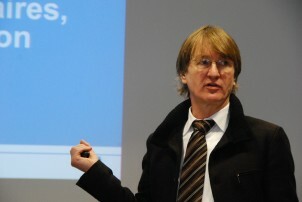 Professor Wolfgang Ahrens, Co-ordinator of both the IDEFICS and I.Family Studies, has been invited to chair a symposium at this event, which begins today in San Diego, on “Effects of the IDEFICS intervention: a community-based intervention to prevent overweight and obesity in eight European countries.” The symposium takes place on Friday 25th May at 9.15am – the full programme is available here. The IDEFICS Study ran from 2006-2012 and examined children between the ages of two and nine in eight European countries (Belgium, Cyprus, Estonia, Germany, Hungary, Italy, Spain and Sweden). 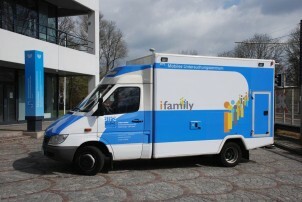 The I.Family Study is currently building on the work of IDEFICS, monitoring the children as they move into adolescence. ISBNPA is the international leader in advancing and fostering excellence in research on nutrition behaviour and physical activity. With close to 400 members representing 29 countries, ISBNPA is “an excellent opportunity to showcase the work of the IDEFICS and I.Family Studies, and to inform the global debate on childhood health and obesity,” said Professor Ahrens. The IDEFICS (Identification and prevention of dietary- and lifestyle-induced health effects in children and infants) Study was funded by the European Commission with two aims: (1) To investigate the aetiology of diet- and lifestyle-related diseases and disorders with a strong focus on overweight/obesity in children; (2) To develop, implement and evaluate a setting-based community-oriented preventative intervention programme.